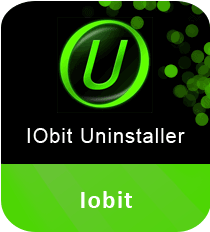 IObit Uninstaller is an effective utility that helps you remove unwanted programs and files from your system. The app uninstaller comes with a Powerful Scan function and Force Uninstall tool for completely removing stubborn programs and useless leftovers to free up your system’s disk space. The program uninstaller for Windows includes many useful tools to monitor browser plugins and toolbars. It supports removal of all malicious and ad-based plugins that degrade your browsing experience or invade your online privacy. Besides, the system tool is even capable of uninstalling built-in Windows 8 and Windows 10 apps. IObit Uninstaller for PC features some additional Windows tools, including task managers and autostart that enables you to remove apps from the Windows autorun launch. The application lets you terminate currently running processes as well. Download IObit Uninstaller to get rid of all junk files and unwanted programs from your system in a breeze. What’s new in the latest version of IObit Uninstaller is that it is able to auto-detect stray files that are often left behind after uninstallation and to notify its Powerful Scan tool to remove them thoroughly and quickly. The Windows software comes with a cleanup residual tool that lets you find and remove invalid shortcuts, Windows patch cache as well as useless download files from default download managers. In case you ever want to recover your deleted files in future, then you can also create a system restore point before every uninstallation. > Displays sorted list of installed programs on the basis of their name, size, etc. With an extensive database of more than 4000 ad-based plugins and toolbars, as well as its powerful capability to get rid of all stubborn programs and even pre-loaded Windows apps, IObit Uninstaller is one the most comprehensive uninstalling tools available today. The application’s simple one-click app removal process provides great usability for beginners and non-conventional users, while more customization makes IObit Uninstaller trendy among power users.